Welcome and Attendance: Tom Hall, President, welcomed all to the meeting. Association Officers Jack Buchold, Secretary; Dave Miller, Treasurer; Tracy Rhodes, IT Manager; and Directors Lew Gage, Terry Matter, RARA Representative, and Dan Ross were in attendance. Guest Member Mike Scott, RTS Manager was also in attendance. 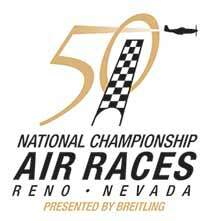 Board Members not in attendance were Alby Redick, Aviation Classics, Lin Manning, and Bob McLaughlin. Members/Guests In Attendance: Special Guest(s): Shaun Carey, RTAA Trustee, Dean Schultz, COO of RTAA, as well as Lisa Kay Brian and Aurora Ritter, also of RTAA. Also in attendance were thirty-six other individuals from the Stead aircraft related community. 1. Minutes of Last Meeting: The Minutes of the previous general membership meeting had been previously approved without comment. 3. Membership Report: Jack Buchold was available, however, no report was requested due to the much anticipated presentation from Mike Scott. However, the previous membership report had noted 123 listed names on the roster, 86 names on our email distribution list, and 65 paid memberships. 4. 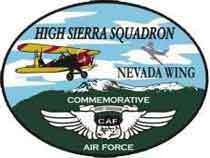 Program: The program was provided by Mike Scott, Reno-Stead Airport Manager, and was entitled “Stead Airport Manager’s Update”. 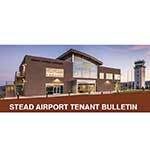 A support document was provided, and is available on the Reno-Stead Airport Association Website under “Home-Featured-Stead Airport Manager’s Meeting Recap.” Please review for more detailed information. The topics presented competed for the attention of all those in attendance with the superb meat, beans, chicken, vegetable and potatoes repast supplied by Mike and his crew, primarily Dani, and the beverages provided by RSAA. Teamwork awards, monetary savings in lavatory updates, tower painting and landscape improvements, ramp and gate asphalt repairs, and the constant war on cracks. Building demolition and land-side road improvements along with drainage remediation and construction detours during the road reconstruction periods. NASA drone testing using the airport as a verification of urban environment technology. Fire Inspections, EAA activities, Guard training, NV Forestry plans, and of course, his anticipated vacation touring Normandy during the 75th anniversary of D-Day in June. Mike expects funding for hiring a consultant to design a reconstruction plan for the ramp and taxiway A.
Mike talked about no more auto cross activities on the field, a continuity of operations planning review. a construction planning team, and assistance in the validation of FAA information as concerns the airport. And the Army Guard vacating the “non-aeronautical” use properties. 6. RARA Trustee Liaison Report: Shaun Carey was an attentive listener, and was not requested to provide an update. 7. RARA Report: Terry Matter was also not requested to provide an update. WiFi Status: Current Stead_Users_West Password is: Jan2015-SteadU. The Stead Users internet transmitter is intended to be Ramp Access WiFi only and coverage is not expected to extend to hangars located south of the parking apron. Frequently navigation devices are timing out before the download is complete. For those desiring their own personal high speed internet connection, please contact Robert Andrews at: robert@avantwireless.com. 9. RTAG Report: Bob Meurer was silent in front of the crowd about his activities.